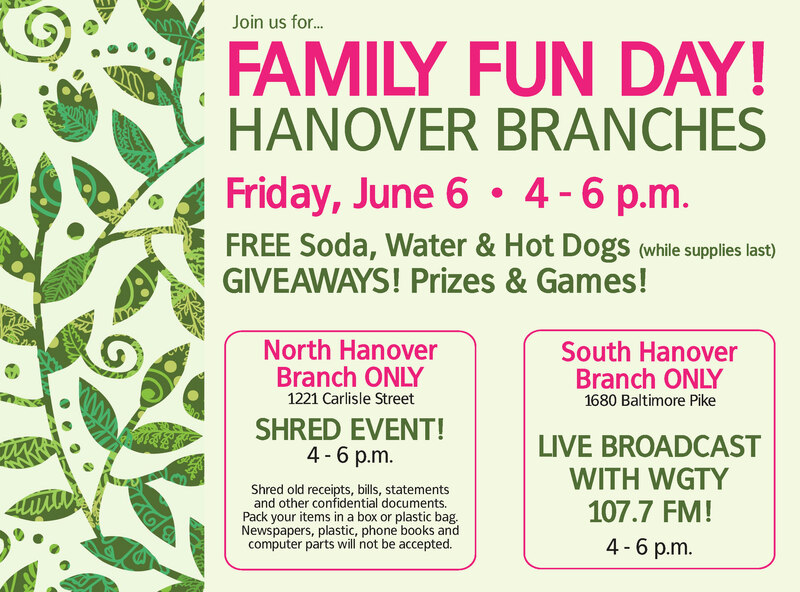 Join us at this upcoming event at our Hanover Branches! You’re invited! Stop by our Hanover Branches for these special events! The community is welcome to attend. Click here for details about our North Hanover Branch. Click here for information about our South Hanover Branch.